Celebrating 56 Years of Business! Convert Mercury, Johnson, Evinrude, Mariner, Yamaha, Tohatsu and Nissan motors from short to long shaft or long shaft to extra long for a fraction of the cost of factory parts. Bay Manufacturing currently has over 60 models to help you save money. Dealers save big by cutting motor inventory in half. A large outboard motor inventory is no longer needed with a Bay Long Shaft Kit. 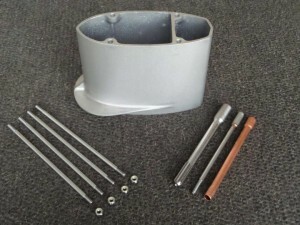 Your short shaft motor can also be sold as a long shaft with a Bay Kit. A long shaft motor can be sold as an extra long with a Bay Kit. Motors can be easily converted back to fit any customers need. Bay Kits come complete with all parts needed to make the conversion. 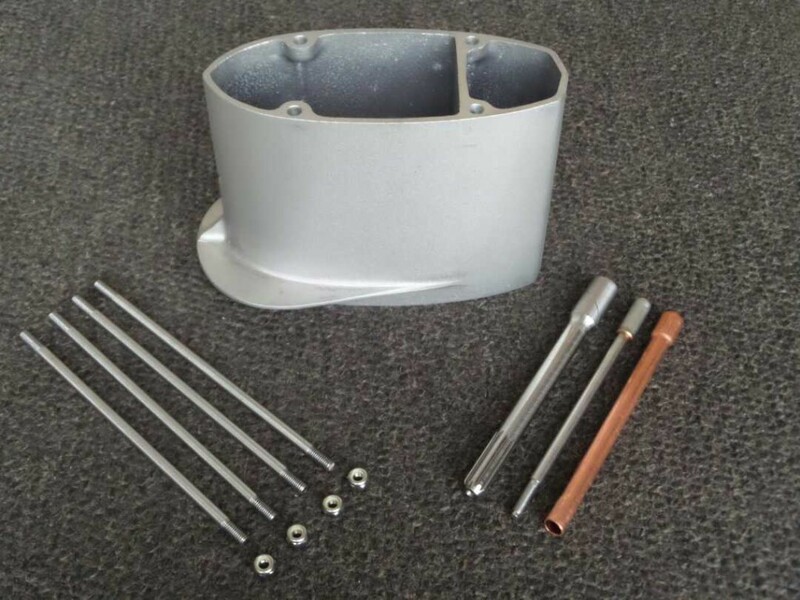 Bay kits are designed and manufactured of top quality materials to give lasting reliability to your outboard motor. All shafts and studs are stainless steel for maximum corrosion resistance and lifetime performance. Spacer housings are cast of the same series alloy as used in the motors. Is there a motor you would like to convert to long shaft? See what we have to offer in our site, then click on the “Contact” button at the top of the page to order! © Copyright 2019 Bay Manufacturing. All Rights Reserved.